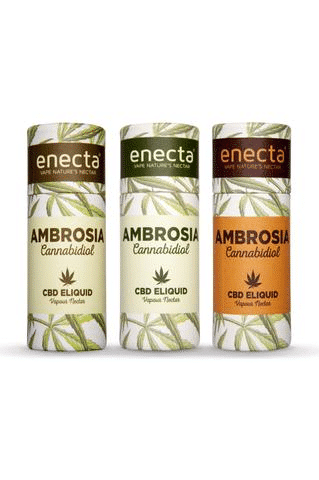 Ambrosia eliquid nectar with addition of pure CBD extract and terpens, without nicotine. Available in 10 ml bottles with 20, 100 or 200 mg CBD. Flavoured with organic essence and natural extract. Available in three special tastes: Peach Tea, Tobacco and Cannabis.